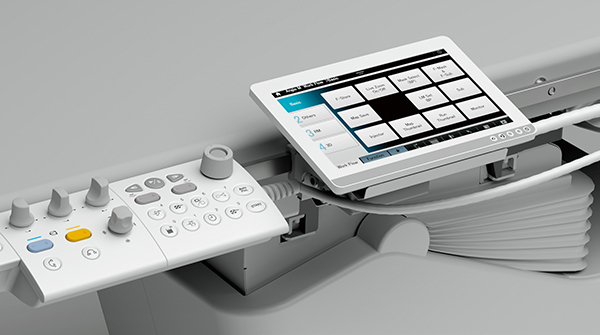 Innovative technologies optimized for neurovascular intervention including the world’s first high definition flat panel detector help you deliver the best possible outcomes for your patients. Alphenix’s unique hi-def imaging mode* allows you to effortlessly zoom up to 1.5” in resolution without losing image quality. Alphenix’s improved imaging chain, including Illuvis noise reduction technology, provides cleaner, sharper, more defined images during device placement or embolization procedures with enhanced visualization of the surrounding vessels and devices. Improved DSA and 2D roadmap with real-time auto pixel shift to automatically correct the position of the mask image due to body motion. Alpha CT can be used to obtain CT-like 3D imaging data from the C-arm. Superimpose this 3D data or prior CT/MR data with the live fluoro display to guide device placement with greater confidence. 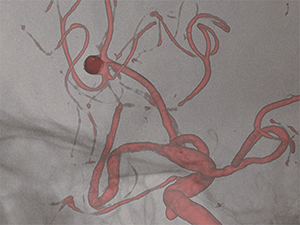 Comprehensive planning tools, such as cerebral aneurysm analysis allow for quick and intuitive stent sizing and positioning prior to treatment. 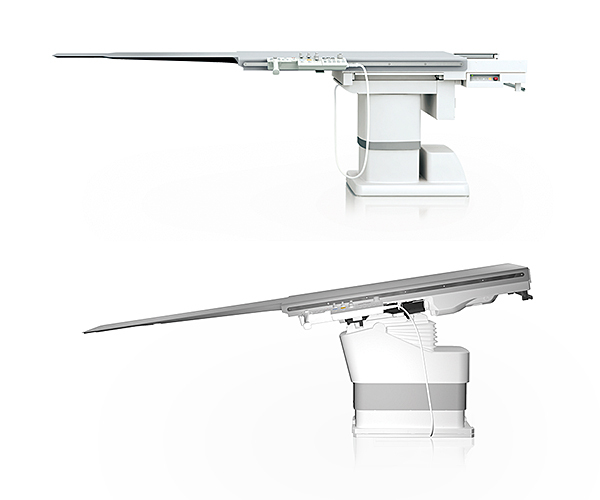 Alphenix floor- and ceiling-mounted C-arms support complex neurology procedures with an unprecedented range of patient access and full-body coverage. The new tableside Alphenix Tablet gives you control right at your fingertips to deliver a faster, more seamless and richer work experience. 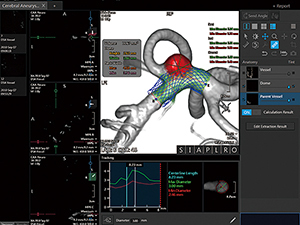 The new feature-rich Alphenix Workstation better integrates applications to help you plan, analyze and perform interventional procedures. 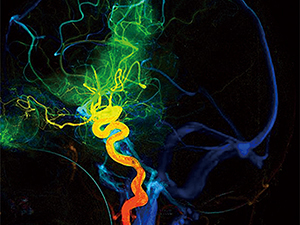 An improved imaging chain with new hardware and software technologies provide you with faster and more assured visualization. Superimpose 3D volume data on the live fluoro display to safely see and deploy devices with confidence. The unique functionality of DoseRite Spot ROI reduces dose outside the region of interest while still allowing visualization of the surrounding anatomy to aid device placement. DoseRite Spot Fluoro uses asymmetric collimation to significantly reduce patient dose as well as scatter radiation to clinical staff. Advanced hardware significantly reduces patient dose and scatter radiation offering greater protection for the patient and clinical staff. Real-time software tools help eliminate unnecessary exposure to minimize dose and improve workflow. Enhanced dose tracking tools allow real-time estimated peak skin dose monitoring and archiving. 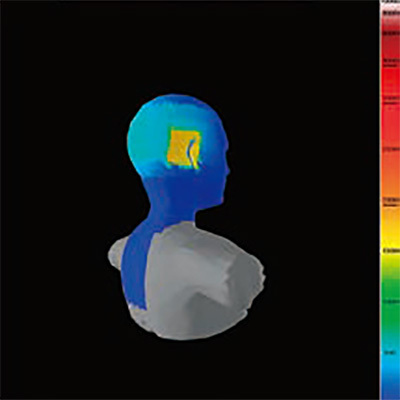 Real-time monitoring and visualization of dose allows the operator to choose a different approach during a long procedure to avoid regions where dose thresholds have been exceeded. Whatever your clinical needs, versatile space-saving configurations make refitting existing suites an economical option. Alphenix systems seamlessly integrate into your HIS and PACS networks. Improvements in functionality, speed and workflow efficiency boost system utilization and productivity. In addition, lower energy consumption, flexible upgrade options and Canon Medical’s industry-recognized customer service, all help you get the best out the system once installed. Alphenix interventional angiography systems are available with a choice of flat panel detectors sizes to suit your coverage needs. This compact design can clear the patient’s shoulder in a lateral projection, making it ideal for neurology applications. 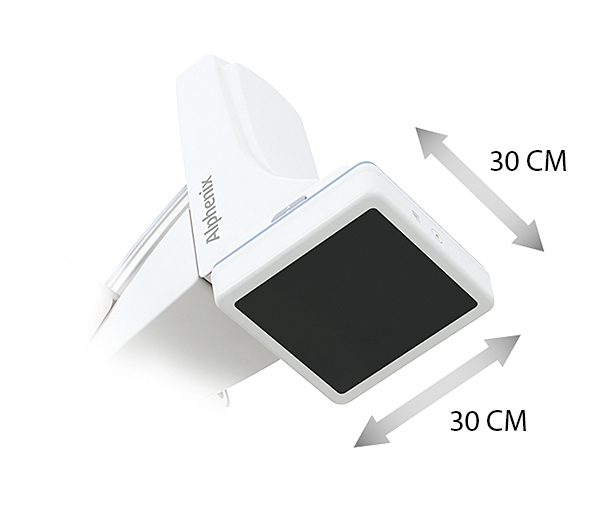 Hi-def 30cm x 30cm* Housed in the same compact design as the standard flat panel detector, this detector increases resolution from 15cm to an impressive 38mm. Multiple table options are available that facilitate positioning flexibility and clinical procedure to support your needs.